In the old days, the only way to collect customer or prospect data was on paper, usually through the completion of forms. Before anything could be done with it, the collected data would need to be entered into a physical database—a process that was very manual and took a lot of time. While computers and digital technology have made data collection and databases simpler, some companies are still wasting valuable hours manually completing tasks that could be automated. Enter Formstack, an Indiana-headquartered organization founded in 2006 that offers a versatile software-as-a-service solution to streamline the process of capturing and managing information. RewardExpert recently sat down with Formstack’s CEO Chris Byers to learn more. Formstack currently serves more than 650,000 users all over the world—from small businesses and nonprofits to larger organizations in industries ranging from consulting and higher education to healthcare and government. “We’ve had some really good success helping professionals in healthcare,” Byers explained when asked about Formstack’s biggest market segments. Byers noted that usage by higher education and the insurance industry is also growing. “Any industry that tends to lag behind because of regulation or other reasons, we’re able to come in and help them advance very quickly,” he said. At its core, Formstack allows users to easily create customized and branded digital forms and seamlessly route the data collected to wherever they need it to go—be that a payment portal, email subscriber list, CRM or other database system. “When you package a form with integrations, payments and workflow, all of a sudden, you can create all kinds of solutions to problems,” Byers explained. You don’t have to be tech expert to do all this and more, either. Formstack makes it very easy with drag and drop capabilities that enable anyone to build forms without any coding knowledge. Themes and CSS make it possible to design branded forms from scratch or use pre-made templates. A support center is available with comprehensive resources. You can also connect with the Formstack support team for assistance 24/7. Forms built with Formstack are easy for your customers to complete as well thanks to built-in conditional logic, which allows users to skip irrelevant questions and save time, and the ability to save their progress and return later. You can view a searchable list of more than 40 Formstack integrations here. Formstack offers a range of plans to suite any professional’s needs, with free trials available on all of them. Plan prices range from $19 per month for Bronze to $249 per month for Platinum. However, the most popular plan is the Gold at $99 per month for five users and 100 forms. He also suggests thinking about where the forms will be used. “If you collect data at tradeshow where the cost of Wi-Fi is excessive or your buried in the basement of the building with poor reception, you might want a plan that offers offline submissions,” he noted. If your form needs are very basic, Byers said you may be able to choose your plan simply based on how many forms you’re going to need on a regular basis. “This makes it easy to upgrade over time from five forms today to 20 in a month or 100 by the end of the year. We just try to make it simple to get started and expand over time,” he said. 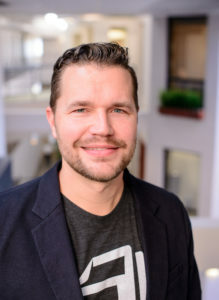 Byers said the team at Formstack has been looking for ways to expands their services through acquisitions of complementary service providers. In December 2018, they acquired Toronto-based QuickTapSurvey, a leading provider of mobile and offline surveys.